Apartment Pets: How to Keep Your Pets Safe in Cold Weather - Planned Property Management, Inc.
Well hello there, polar vortex. Looks like our city is going to be colder than the Arctic tomorrow. With that kind of news, we wanted to share our best advice on how to keep your pets warm and safe in these frigid times. Some dogs and cats may be fluffy, but to beat this kind of cold, they need back-up. 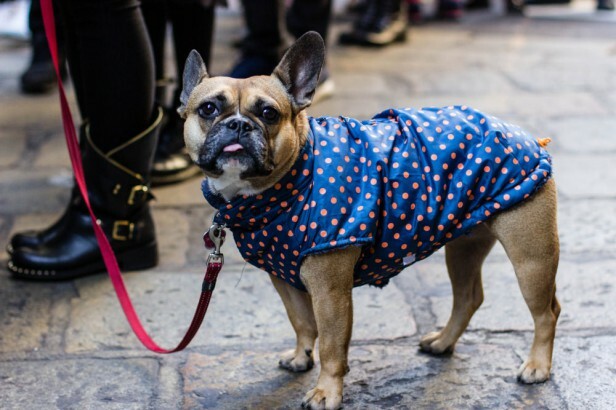 Here’s how you can keep your pets safe in cold weather. During these cold-weather conditions, your pet may need some extra help staying warm than they normally do. 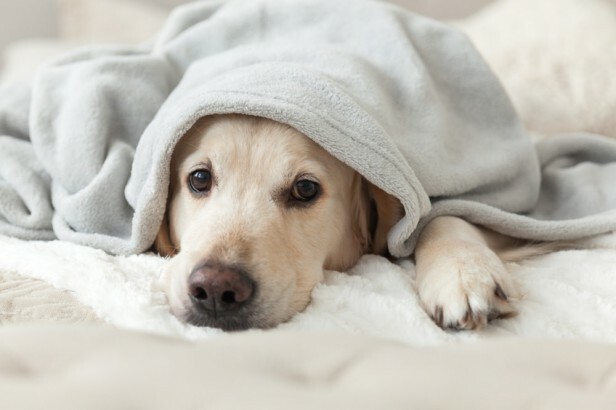 Make sure your pet has a comfortable spot to rest and sleep in with blankets or towels for extra warmth. 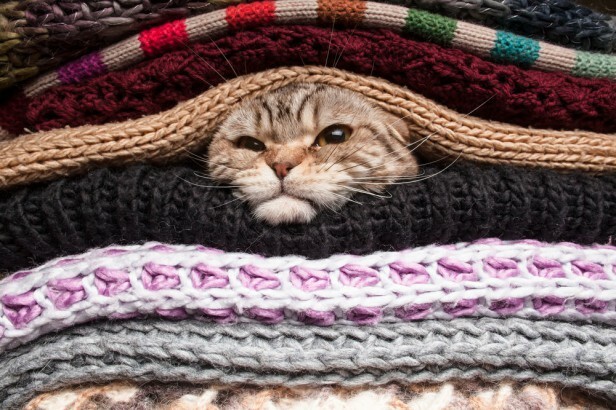 Bundle up your pets with warm blankets, make yourself some tea, and settle in for some cozy time at home. If you’ve ever considered investing in some pet sweaters or coats, now would be a good time to try it out. 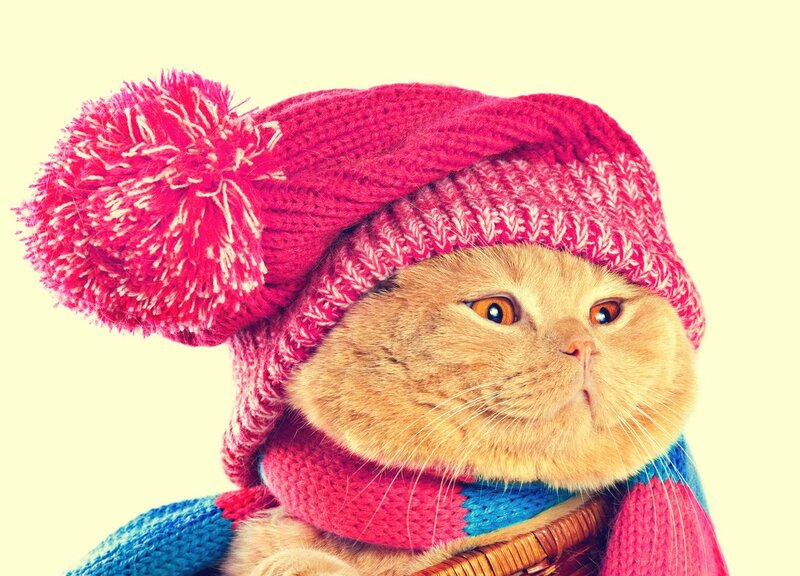 There are lots of cute and practical pet outwear options that can help keep your pets safe from the cold weather. Check out some choices on Amazon here. When you do take your pup outside, be mindful of where they step. Salt that’s used to rid the streets of slippery ice is toxic and can be dangerous to dogs. Be sure to thoroughly wipe your pooch’s paws once you bring them back inside to clean off any salt from their paws. 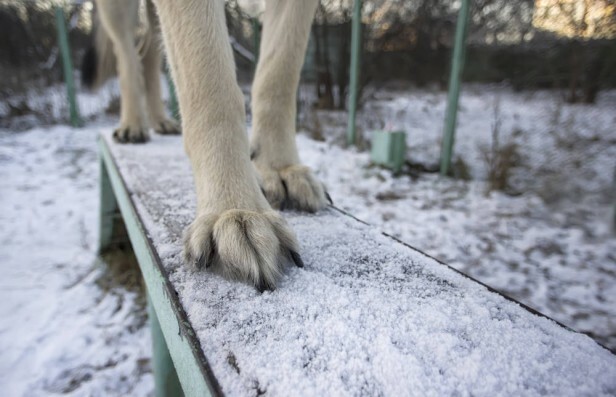 Warming up your pup’s paws is also recommended, as the cold air can cause damage to the soft pads on their feet.